We’re excited to share that the beta testing is now complete and we are ready for use in your classroom. A huge thank you to the 4000+ teachers who tried out the app this summer and provided their feedback. We’ve listened carefully and have added several great new features for you and your students! In Book Creator for Chrome, you can use Google Image Search to find the perfect photo for your project. When you tap the + button and select Import, you can now search for images on Google. Rest assured that safe-search is enabled, and all the images have full permission to be used in your books. You can also disable the feature altogether in a library’s settings if you prefer students to only use their own images. Perfect for classroom collaboration, why not get students to create a page individually, and when they’re done, the teacher can combine them all into one class book. Click on the bookshelf icon beneath a book’s cover and choose Combine Books to try it out! If you love this feature from Book Creator on the iPad, we have made the Chrome version even better. You can now combine multiple books in one click, and they can even be different shapes. Login as a teacher, then create a library – you’ll get an invite code so your students can join. It’s as simple as that – a great way to organise and share your books. Want to store a book in Google Drive, or read in iBooks on an iPad, or import into Book Creator for iPad? Well now you can! We hope Book Creator is super simple to use, but if you need some extra help you’ll now see a tutorial when you first sign in. If you were a beta tester just click on your avatar and choose ‘Reset Tutorial’ to add it to your bookshelf. Teachers start off with 40 books + 1 library for free. If you need more books/ full details of the pricing can be found at bookcreator.com/pricing. I cannot download as a PDF, with Chrome. Is that correct? Hi Jacqui – that’s right (for now). Hope to add this very soon! I did BUY book creator on Google play but now I have to pay again!!!!! Will there be an individual book creator? My son started writing books at about 8 years old. Wondered if this would help with all aspects of writing? Hi Ron – for individual home use, we have our Book Creator for iPad app. the kids have ben loving it! I’m having problems. We are using the Chrome version of Book Creator at school and I’m trying to access my classes book at home. I have the code to join my classes library, but I cant download the app. I go through all the steps to download Chrome onto my Mac Book, but when I get to the part where it tells me to go find it in my applications, it isn’t there. I have download it maybe 5 times and it hasn’t worked a single time. Can ideas? I also tried to download the app onto my Ipad. But I go the free version because my school has already spent money on the other version, but I can’t access my classes library on the app either. Right now, you can’t access your online libraries in the iPad app. That’s coming later in year. Hi Doug – there’s nothing to download? You just need to go to app.bookcreator.com and sign in. Hi. I was just wondering if there is a free lite version? I know that there used to be a free lite version on the Ipad. We stil have a free lite version of our iPad app – Book Creator One. 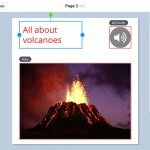 Book Creator for Chrome has a free tier for all teachers. When you sign in, you get 1 library and 40 books for free.